Getting out of the dilemma of a laptop which is just not ready to turn on or even boot is obviously not a child's play. And in today's tech world, a non-working laptop is of great trouble! Laptop is a key to all our work stuff, may be it be office work or other personal work. So if your laptop won't turn on, you have landed on the exact place wherein you'll find the perfect solutions for "why won't laptop screen turn on" issue. Let us have a look at the best solution for my laptop won't turn on issue. In case your laptop is running solely on the battery power only, we recommend you to connect the AC adapter. Well, there may be a chance that your laptop's battery is dead. And the dead battery is the reason behind your laptop not turning on problem. Make sure that the adapter's cord is properly connected and plugged on both the ends. And if you are lucky and your laptop starts working with the plugged in adapter, we are sure that the battery of your laptop was totally drained out or is defective. The other reason behind your laptop not starting can be a docking station. If your device has a connection with a docking station, simply disconnect it. Now try to turn on the laptop so as to check if docking station was the culprit and was causing the problem while turning the laptop on. One of the answers for your why won't my laptop turn on question can be the external peripherals connected to your laptop. To solve "laptop won't turn on completely" problem, simply disconnect all the devices/peripherals that are external connected to your laptop. External devices including mouse, USB, keyboard, and so on should be disconnected while turning on the laptop. You can connect them once the laptop is turned on without any issues. 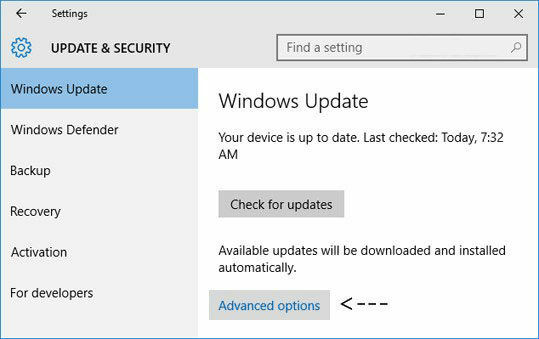 One of the reasons for the "laptop won't start" issue may be your laptop is preventing itself from the booting process properly being in a power state. To solve this, try to disconnect the laptop's power cable and remove its battery. Let the power cable and battery be disconnected state for a minute or so. Now put back the battery in the laptop and also connect the power cable. Now try to turn on the laptop. At times, some leftover electrical charge keeps the laptop from turning on. It can be simply called as electricity block. Follow below steps to drain the laptop effectively from any of the electricity block and give a fresh start; this will result in the powering up of your laptop. Step 1: Firstly, disconnect your laptop's AC adapter and then remove the laptop's battery. Press the laptop's power button for 15 seconds or so. Step 2: Now insert he battery back in the laptop and also plug the AC adapter. Turn on the laptop by pressing the power button. If all the above methods fail to solve your "laptop screen won't turn on" issue, and the laptop still is not turning on, there is high probability that a hardware issue is causing all the problems. Some hardware component of your laptop has just stopped working. In this situation, it is better to take the help of the laptop's manufacturer for further recommendations on finding some solution and repair the laptop. Else you can try taking your laptop to the nearest repair shop as the problem can be diagnosed by them and precise solution will be given. The ultimate solution to solve the issue is Windows Boot Genius. The wonderful tool will get your problem solved in easy way. Follow below steps to use the tool. Step 1: On your computer, run the ultimate solution solver Windows Boot Genius. A bootable disk is mandatory for further process and hence you require to prepare one. One way to do this is using some prepared DVD/CD/flash drive. For CD/DVD, put your disk in the CD-Rom driver. For flash drive, connect pendrive via USB port. Click on option Burn so as to initiate burning of repair disk. Step 3: When the computer boots from the USB/CD, the software interface is seen. 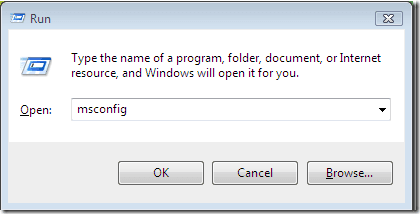 Select the appropriate cause for your issue from the left menu. Now just you have to follow the on-screen instructions. In the above article, we have discussed the best and simple ways to solve "laptop won't turn on display" issue. We hope the solutions were of great help for you. 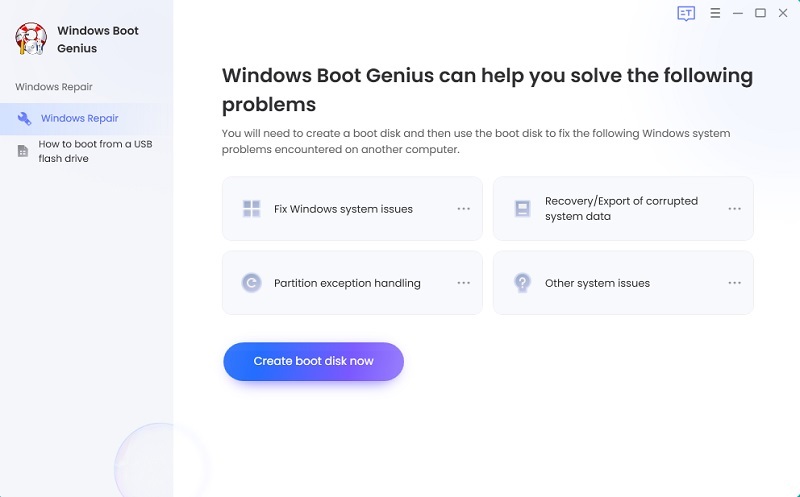 We highly recommend Windows Boot Genius for getting your laptop won't turn on issue solved. Share your feedback in the below comments section.